Skirret is a minor European root crop with a wild distribution across Asia. This crop is easy to grow in the Pacific Northwest and throughout the northern US. 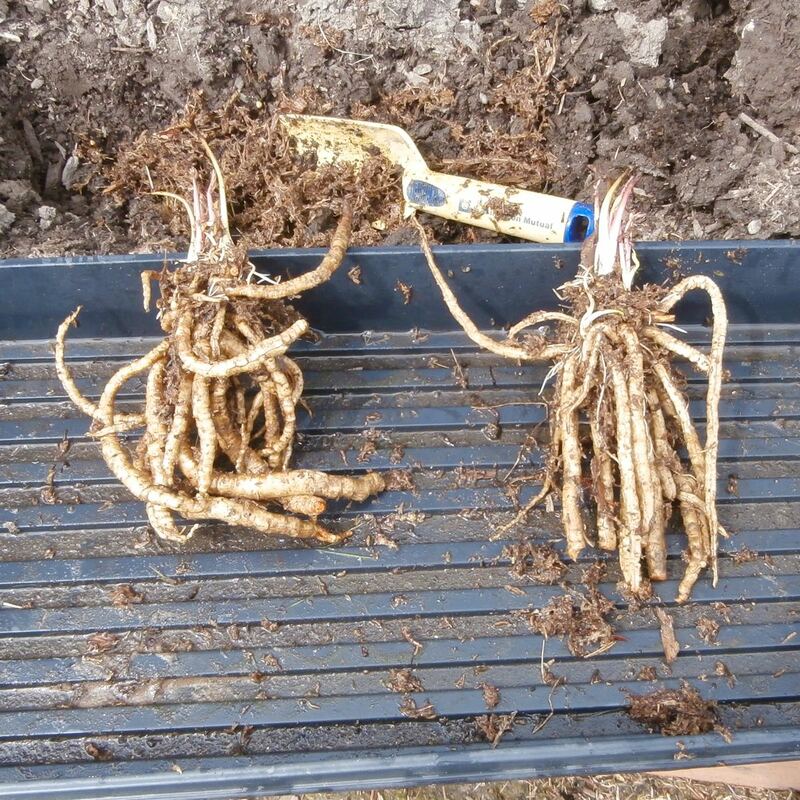 Skirret storage roots are typically about half an inch wide and four to eight inches long. Yield varies with the age of the plant; second year plants average about one pound and older plants can produce more. Skirret is normally eaten cooked, as the roots are rather hard when raw. Cooked roots are very soft and sweet, like a combination of potato and carrot. The spring shoots are also used as a vegetable. Improved varieties are propagated from offsets, but it is more common to grow unimproved varieties from seed. Skirret (Sium sisarum), pronounced SKUR-ret, more or less, is a member of the family Apiaceae, along with carrots and parsnips and, in this book, arracacha and root chervil. Skirret is a crop that has been repeatedly lost and found. It is perhaps semi-domesticated, but doesn’t appear to be all that different from wild forms scattered about Europe and Asia. It has names in many different European languages and most of them appear to translate into some variation of “sugar root”. All “lost” crops get lost for a reason, but it seems unlikely that it has anything to do with flavor in skirret’s case; cooked skirret is like a very sweet, soft carrot. 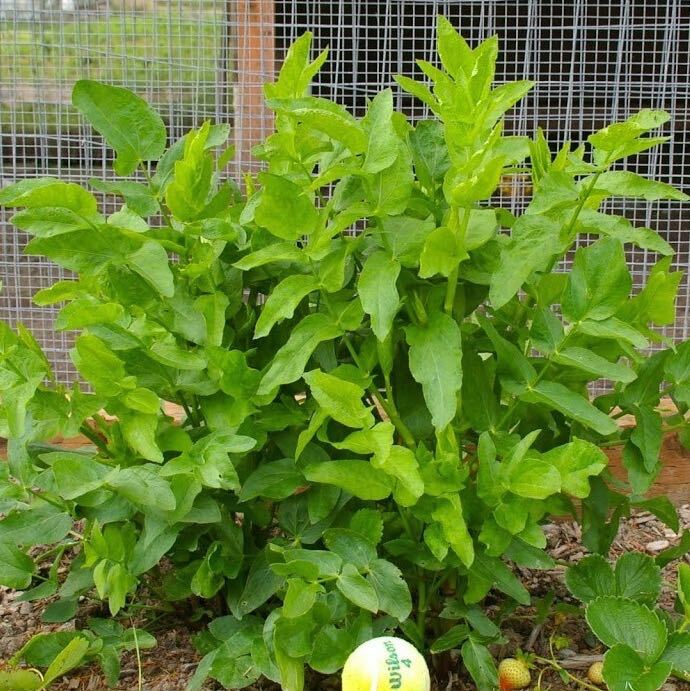 Skirret would be a difficult crop to manage in modern, industrial agriculture and that is probably the main reason why is has nearly disappeared, but the same traits that make it difficult for big agriculture are beneficial for the home gardener. If you grow with your own two hands, this crop is well worth your attention. 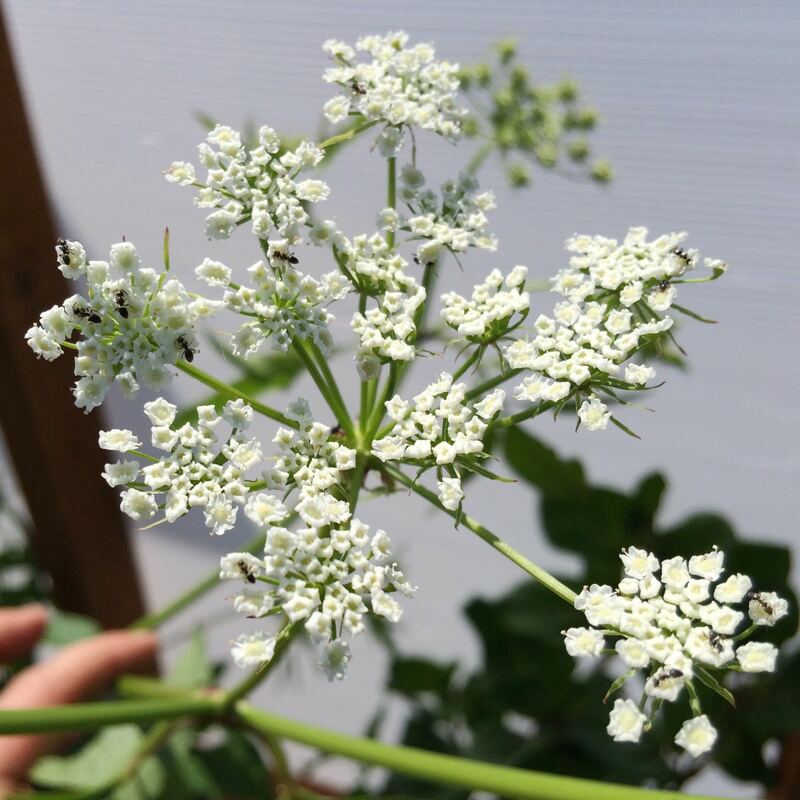 The plant will be familiar to anyone has grown other common members of the Apiaceae, like carrots, parsnips, parsley, or celery. It grows to be about four feet tall and can flower in its first season. It is a true perennial and will come back year after year. It forms a small clump of thick storage roots, producing a kind of squid like appearance. Skirret is actually pretty similar to arracacha, another perennial member of the Apiaceae, covered in the first section of this book. A look at arracacha might provide some idea of the breeding potential for skirret. If the storage roots were fewer, but larger and the rootstock increased in size to support that kind of growth, skirret would look a lot like arracacha. If only someone had started on this project a thousand years ago! The history of skirret is somewhat cloudy. It is sometimes claimed to have been used back to Roman times and by the Romans themselves, but these references may be mistaking skirret for other roots. There is a lack of evidence for common use of skirret in Britain before the 15th century (Harvey 1984), although it had probably been used in mainland Europe longer than that. Skirret may have made its first documented appearance in Britain in a 1322 list of seeds maintained by the gardener for the Archbishop of Canterbury (Harvey 1984). 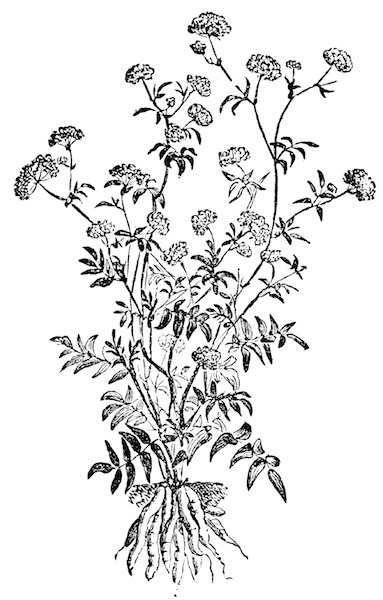 Skirret probably came into Europe via Siberia, then Russia, and finally into Germany (Sturtevant 1890). This makes sense in light of skirret’s wild distribution. It arrived in North America by 1775 (Sturtevant 1890). 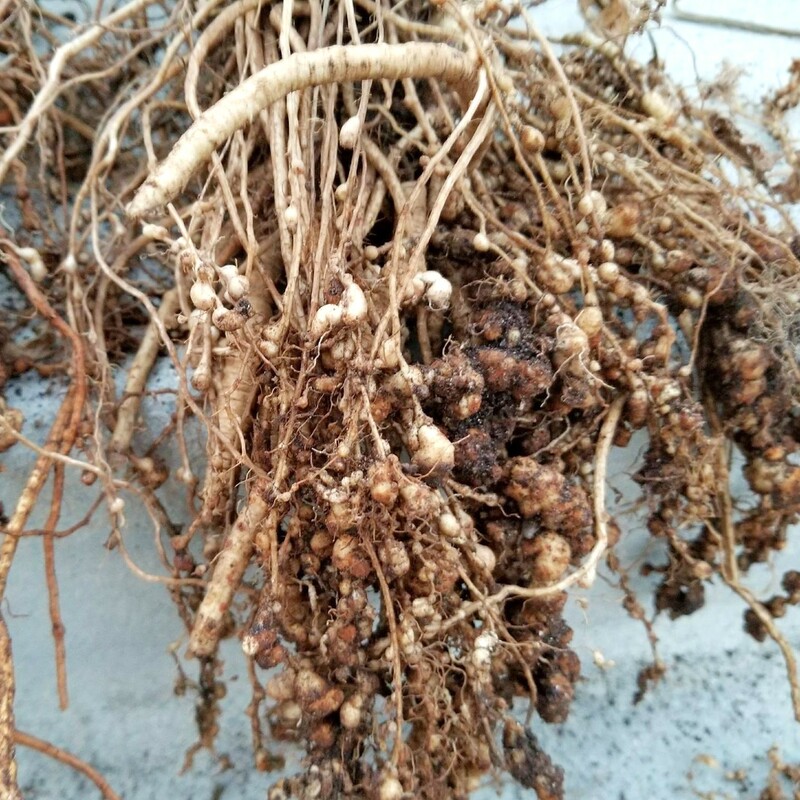 Nutrition data for skirret has not been established, but the sweet flavor suggests that it is rich in carbohydrates and sugars. The roots are very sweet and can be eaten raw or cooked. They do not need to be peeled, although older roots can have some tough skin that is sometimes better removed. It is actually easier to do this once the skirret is cooked, when the skin can usually be slipped right off. Most roots also have a thread of woody material running down the center. This is also easiest to remove after cooking and can easily be done by the diner, assuming that you aren’t too fastidious. The simplest operation is to hold the root down with a fork and pull out the core, which gives no resistance in cooked roots. Skirret makes a great addition to soups, where its soft texture will cause it to break apart and act as a sweetener and thickener. It is best to pre-cook and remove the cores before adding skirret to soup if you don’t want to end up picking woody threads out of your teeth. Skirret was a reasonably well known plant in Europe from the middle ages into the 19th century. In addition to recipes like pies, soups, and stews, where skirret often played a supporting role, some instructions call for preparing it alone, similarly to carrots: “skirrets to be cleaned, parboiled, fried in the best oil or in butter and eaten hot” (Harvey 1984). The spring shoots are also edible, something that I have never tried. I had assumed them inadvisable to eat until I read about this in Stephen Barstow’s excellent work Around the World in 80 Plants (which you should immediately add to your bookshelf, if it is lacking). They can be blanched, presumably for milder flavor. Skirret grows wild in Europe and Asia. It is a fairly adaptable crop. In the wild, it is largely a streamside plant, but it does just fine row cropped in a garden as well. It produces best in full sun but will tolerate shade at a small cost to root production. It can handle a fairly wide range of temperatures, given sufficient water. If temperatures will climb above 90° F (32 C) for long, it will benefit from afternoon shade. It can survive fairly cold winters and can probably be grown as a perennial down to USDA zone 5. Skirret has no photoperiod dependencies. Yay! Skirret performs well in acidic to neutral soils. Well drained soils are best, as they prevent problems with disease, but skirret grows well even in heavy, swampy soil. Skirret loves soil rich in organic matter and is very responsive to nitrogen. With most root crops, an excess of nitrogen produces lush top growth at the expense of root yield and this is probably true at some level for skirret, although the matter has not been studied. 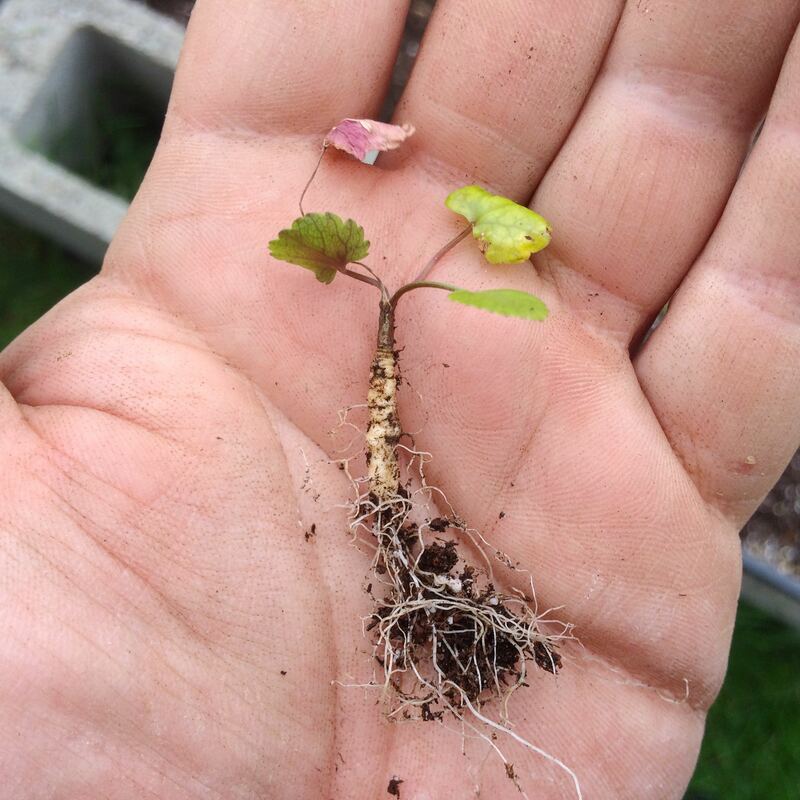 Skirret offsets are basically rooted cuttings. Although they can be planted directly, it is usually a better idea to pot and then transplant, because they are very small and vulnerable to pests and rough weather. Plant each offset in a four inch (10 cm) pot filled with wet soil with the tip of the sprout just below the surface of the soil, perhaps an eighth of an inch (3 mm). Seeds retain good germination for at least three years if stored at a temperature of 70° F (21 C) or lower and five years at 50° F (10 C) or lower. Direct sow any time from the middle of fall to late spring. If planting in spring, it is best to wait until after the last frost, since the new sprouts may die back in a hard freeze. They will usually recover, but too many freezes will kill the plant. In order to produce full size roots the first year, you will need to start seeds indoors in most climates. I recommend sowing seeds in a flat eight weeks before your last frost. Skirret seed germinates erratically over a long period of time. The soil must be kept moist. If possible, apply 70° F (21 C) bottom heat until half of the seeds germinate and then remove from heat. Ideally, this should give you plants at least six inches (15 cm) tall at transplant time. In row spacing of 18 inches (45 cm) works very well. Three feet (91 cm) between rows will leave room to maneuver, but get pretty crowded by fall. As basically a wild plant, skirret doesn’t need much attention during the growing season. Make sure that the soil doesn’t dry out. Otherwise, skirret fends for itself. In the wild, skirret probably grows in shaded areas and forest edges. It grows fairly well in shade, although root development is slowed. It makes a fine understory plant and can be used around the edges of orchards or in a transition zone between a cultivated area and native trees and shrubs. Skirret is a true perennial. Leave it in the ground as long as you like. The yield gets a lot better in the second year and then increases a little more in following years. Because it can survive freezing soil, you can leave it in the ground year round for harvesting whenever the soil is workable. I don’t have a lot of experience, but skirret seems to grow reasonably well in containers of five gallons or larger. As is always the case with containers, keeping it well watered is the tricky part. Root growth is greatly slowed by dry conditions. Skirret is ready for harvest at the end of its first year, once the top of the plant has died back. Or, you can leave it in the ground for another year, or another two years, or more. If you have a lot of plants, you can harvest some and leave the others to grow larger. Once a plant has passed its first year, you can harvest any time, so this can give you a year round harvest. Skirret stores perfectly in the ground as long as your soil doesn’t get too wet in the winter and as long as you don’t have problems with voles. If you can’t leave it in the ground, remove any offsets that you will use for propagation and then store the intact, unwashed root ball as close to 38F (4 C) and 95% humidity as possible. Under those conditions, skirret lasts three or four months in storage. You can keep intact root balls in good condition for about a week at room temperature. I’m not aware of any traditional or modern methods for preserving skirret. It seems like it is too mushy for canning. It might be possible to dry it. Considering how well it stores in the ground, there is probably not a great deal of demand for skirret preservation. You have your choice of methods to propagate skirret; there is no right or wrong answer with this plant. Few named varieties are available. If you come by one, you will need to propagate it by offsets. Skirret is a diploid and so it should be possible to produce true breeding seed lines, but all of the superior varieties produced so far are clones. Skirret is easily propagated by the handy offsets that it produces. You will find these ringing the stem when you dig the root ball. Select offsets that have large, straight shoots with a fringe of rootlets forming around the base. Cut the offsets free with a small knife. If you can cut so that one or more storage roots are attached to the offset, so much the better, but it isn’t necessary. Root the offsets in wet potting soil until they are growing well. I transplant them when they are about six inches (15 cm) tall. The yield of offsets increases significantly in the second and later years, but you will get the largest number of plants by taking offsets in the first year, since you then get an exponential increase in the second year from all the plants that you started. Skirret plants produce large quantities of seed and you can get a lot of plants by simply allowing the seed to drop to the ground. Insects generally do a fine job of pollination, but if you want to make controlled crosses, you can bag umbels and hand pollinate. This is a tedious process, as you get one seed per flower. For the pollen receiver, cut off all but the central part of the umbel. This will prevent self pollination. Male parts develop before female, so watch for the anthers to wither and then begin introducing pollen from your chosen donor with a brush. In most cases, it would be easier to plant your parent varieties side by side and net or cage them to prevent pollination from other plants. You will get both self pollinated and crossed seed, but the process involves a lot less labor. If the weather is wet at the time that your skirret seeds are maturing, it may be preferable to cut the seed heads and take them indoors to finish. I have had a lot of problems with maturing seed going moldy in wet conditions. There are approximately 550 skirret seeds per gram in well cleaned, fully dry seed. Flies and beetles appear to be the most active pollinators. I rarely see bees visiting skirret. There are small rodents that love to eat skirret roots. They are called voles. Perhaps you have heard of them… in every other chapter of this book. I have observed tiny seed feeding beetles working the flower heads in large numbers in some years. These can be a real pain if you are trying to save seeds from particular plants for breeding. Root knot nematodes can apparently be a problem for skirret. I haven’t seen the problem, but one of our customers reported substantial nematode damage in skirret. So, if you have high soil populations of root knot nematodes, skirret might not be the right crop for you. If you have low populations, then you will want to practice frequent rotation with crops that are not hosts. Very little is published about skirret and nothing about possible diseases. I am aware of two unidentified diseases. One of them wiped out all but three of my plants in 2013. The plants developed pinpoint lesions on the leaves, which rapidly expanded into large blackened areas, before the stems wilted and collapsed. The cause may be celery late blight (Septoria apiicola). If that is correct, keeping skirret separated from celery plantings and in well drained soil should help to prevent it. Hopefully my surviving plants will have some resistance. There is another condition that causes partial wilting and blackening of the stems, but that doesn’t seem to kill the plants. This has been observed in the UK. The symptoms are consistent with organisms like Fusarium and Verticillium, although the cause remains unknown. In one notable case, a skirret plant grown in France developed a stem that was entirely purple, including the leaves. Unfortunately, it wasn’t possible to keep it going. Such a plant might make a colorful new variety or might turn out to be a poor producer, but it would certainly be worth the effort to propagate. Bigger, faster, more colorful! Those seem to be some of the common goals for skirret. It produces pretty good yields in aggregate, but the individual roots are tedious to clean and prepare when they are very thin. So, thicker roots would be a nice development. While we’re at it, roots without the woody core would be quite nice. Skirret takes the whole growing season to produce a decent yield. It might be nice to speed that up a little bit, both to allow for earlier harvests and so that yields would be better by the end of the season. The storage roots are white and fairly boring looking. It would be great to find a way to introduce a little color and would probably make them a healthier product as well. There are plenty of colored roots in the Apiaceae, but there are also plenty of stodgy skirret colored roots like parsnip that show no signs of updating their wardrobes, so it may not be possible, but it’s worth a try. Skirret has two possible wild ancestors: S. sisaroideum, a plant found primarily in the middle east, and S. ninsi, which is found in eastern Asia (Spalik 2006). Hybridization might be a source of new traits. It is also possible that hybridization could be accomplished with other members of the genus, although there may be dangers of toxicity in such progeny. Not every plant in the genus Sium is safe for human consumption and most are untested. 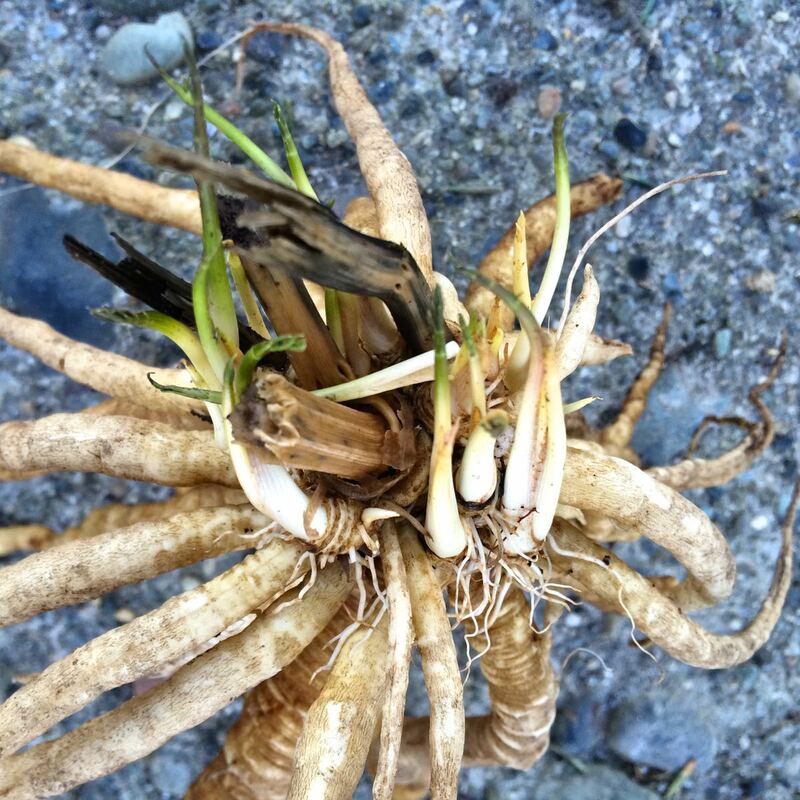 The North American native water parsnip (Sium suave) is a very similar plant to skirret. The aerial parts would be easy to confuse and even the root of water parsnip, while not nearly as large as that of skirret, has a similar structure and appearance. The flavor is not as sweet as skirret, but is nice enough. It was used as a staple food by the Okanagan people of Washington and British Columbia. It grows under conditions very similar to skirret, but tolerating even wetter soils. I’m not sure why this isn’t a more popular edible, other than possibly because there are many warnings not to eat it due to its resemblance to the toxic water hemlock (Cicuta douglasii). Mistaken identity isn’t likely to be a problem in cultivation though.